Wolfgang Perfekt Finish Paint Prep 64 oz. 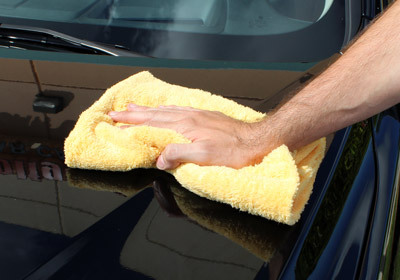 Wolfgang Hat - FREE With Wolfgang Orders over $75!Wolfgang Car Care KitsWolfgang Füzion Carnauba Polymer Estate Wax 3 oz. Mini Wolfgang Füzion Estate Wax Mini Connoisseur’s Kit Wolfgang Füzion Carnauba Polymer Estate WaxWolfgang Füzion Estate Wax Connoisseur’s KitWolfgang™ Plastic Headlight Lens Cleaning SystemWolfgang Deluxe Plastic Headlight Lens Cleaning KitWolfgang Deep Gloss Paint SealantWolfgang Uber Ceramic CoatingWolfgang Fuzion Spray WaxWolfgang Fuzion Connoisseur’s Choice Wax KitWolfgang Deep Gloss Liquid Seal 8 oz.Wolfgang Auto BatheWolfgang Uber Wash & WaxWolfgang Paintwork Polish EnhancerWolfgang Uber All In OneWolfgang Uber Compound 3.0 8 oz.Wolfgang Total Swirl Remover 3.0 8 oz.Wolfgang Finishing Glaze 3.0 8 oz. What can I say, WG products have lots of hype! But this WG product delivers , sure it cost much more than Isopropyl Alcohol but works safer, and plan on doing 2 passes this way you know any wax or oils or fingerprints are removed! 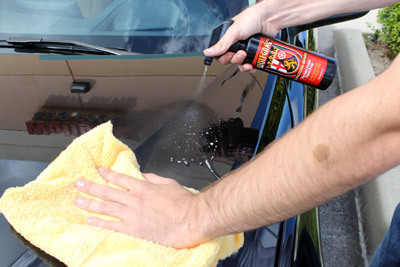 I suggest you use a thick micro fiber cloth, helps remove the spray. This is the first car that I have put so much effort, clay bar, Swirl 3.0 remover, then WG Perfekt finish prep, then WG Deep Gloss Paint Sealant 3.0, wait 12-14 hrs then finish with WG Fuzion Spray Wax to give that WOW look! ProsSuper easy to put on and remove! ConsMay need to do it 2 times.